the demands of work and life." Are you ready? Classes will start in..
is the best in the world." 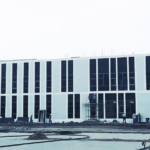 The Finland Oman School is the result of a partnership between Oman Educational Services LLC (OES), the owner Company of the German University of Technology in Oman (GUtech), and our Finnish partners specialized in Education. Both OES and our Finnish partners have extensive experience in managing educational institutions and applying best quality teaching and learning practices. The Finland Oman School builds on experiences and know-how from the Finnish education system, which utilises benchmarked research-based pedagogy and an innovative approach to teaching and learning. 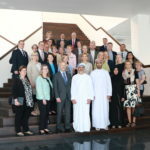 In order to secure continuous and direct Finnish support and best practices, we have successfully recruited and stationed school-experienced Finnish management staff at our Finland Oman School and within OES. Up-to-date computer technology that makes learning more interesting. Exciting and effective hands-on scientific experiments in our Science labs. A functional and inspiring space to stimulate creativity. Learning and loving music in a different way. Use our 25-meter swimming pool for fun-filled activities and exercises. A self-service canteen that offers healthy and tasty meals. Registration for the Academic year 2019-2020 from KG1 to Grade 9 is Now Open! Due to the high demand for registration, we encourage those who are already registered to act as soon as possible. Please remember that seats are only guaranteed once payment has been made. We are also encouraging the parents who are interested to register their child to our school to please make a reservation to assess your child. Thank you for checking out Finland-Oman School. How may I help you? Please rate our website from 1 to 5, where 1 is the lowest and 5 is the highest.